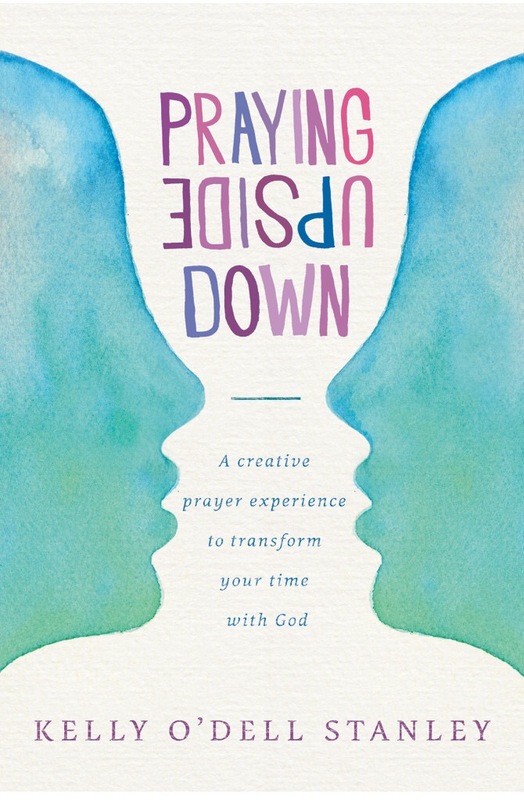 Praying Upside Down: A Creative Prayer Experience To Transform Your Time With God, written by Kelly O’Dell Stanley, is a publication that strives to help it readers recreate their prayer life, transforming it into something that will transform their lives. Kelly brings forth her own personal experiences/stories as lessons to demonstrate how God taught her to create a different prayer life, one that caused her to look at prayer differently, one that caused her to look at prayer from His point of view instead of her own personal desires. It’s obvious that Kelly has a passion for God and desires to not only communicate with Him, but do it in a way that will strengthen her faith and trust in His direction. Added to that is her desire to help as many people she can have the kind of prayer life that she now enjoys, one that truly pulls her into the presence of God and a clearer understanding of His will for her life. This book is wonderful and is a highly recommended purchase. 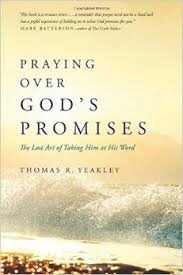 Praying Over God’s Promises: The Lost Art Of Taking Him At His Word, written by: Thomas R. Yeakley, is a book that desires to open up its readers to the powerful understanding that God will make good on His promises. Within this publication, Thomas, drawing from his almost insurmountable experience in missions and leadership development, encourages Christians to reach for and believe in the promises of God. He tries to help his readers embrace God’s clearly expressed promises, trusting that God will provide, heal, guide, strengthen, and empower according to His promises as they are laid out in scripture. This book would make a great addition to any Christian’s personal library. 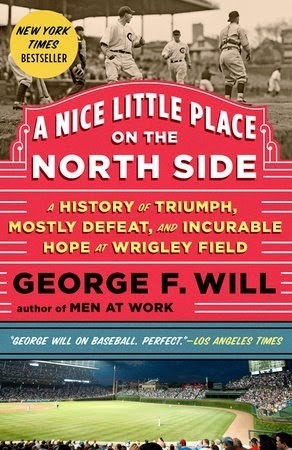 A Nice Little Place On The North Side: A History Of Triumph, Mostly Defeat, and Incurable Hope At Wrigley Field, written by: George F. Will, is a book centered around the history of the ever famous and possible even infamous Wrigley Field and the Chicago Cubs. George Will has a deep love for Wrigley Field and the Chicago Cubs. Will slowly moves through the history of Wrigley Field with grace and elegance. He does not try to rush through the information as if he were bogged down by a time commitment. Instead, he moves through with a pace that pays tribute to the historical image of Wrigley, the Cubs and their propensity towards less than elegant standings. He doesn’t just cover the history of Wrigley Field. He masterfully demonstrates how the history ties into and plays an integral part in the Cubs’ consistently dismal standings. This publication is very engaging, inundated with historical facts, and surrounded by the mystery and misery that is the Chicago Cubs. This would make a wonderful gift for any die hard Cubs fan. 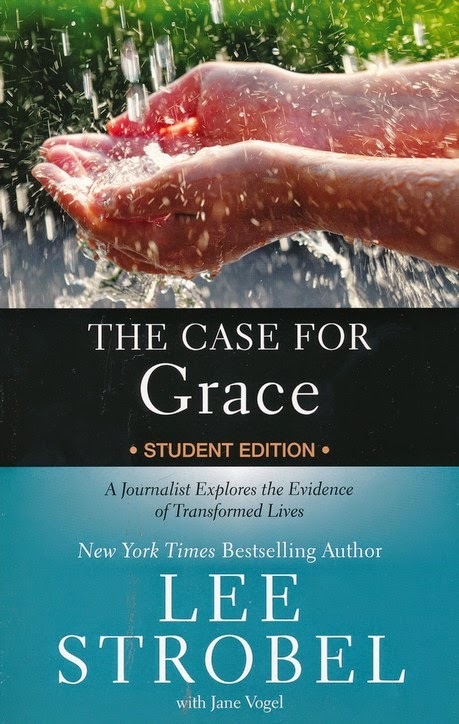 The Case For Grace Student Edition: A Journalist Explores The Evidence Of Transformed Lives, written by Lee Strobel and Jane Vogel, is a book that desires to carry its reader into a powerful understanding of the presence of God’s grace. Utilizing his own personal journey from an atheistic belief structure to a heart transformed by the reality of Jesus, as well as numerous other stories of redemption, Lee helps his readers explore the realism found within the grace of God. The flow of this publication is heart changing and life altering. It carries its readers through an emotional journey that can nothing less than alter their understanding of God and the glorious grace He offers to all who call upon His name. It utilizes stories that are heart wrenching and faith strengthening. It demonstrates how the grace of God can work in any life that is willing to relinquish its control over to God. This publication has the potential to change a person’s life and alter their eternal destination, thus it is a recommended purchase for personal use or as a gift. Acts 9:26 When he came to Jerusalem, he tried to join the disciples, but they were all afraid of him, not believing that he really was a disciple. Saul’s change became known. People were astonished at the difference they saw in his life. His actions, his words, his whole demeanor was different, different in a good way. That’s what happens when we allow God to enter and have control of our lives. We change, and He is glorified. While some were astonished, some did not trust that true change had occurred. This same attitude has been laid out quite often through history. People have a tendency to wait for people to reconvert to their old ways. They don’t believe someone can be changed. They don’t believe people, down deep, want to change. True change comes from the entrance of God within our lives, that is, as long as we will allow it to happen. Lord, help me allow true change to happen within my life. Astonishment ran rampant in regards to the new and improved Saul. So many people watched in fear as he persecuted those who believed Jesus was the Messiah. So many heard the threats that came out of his mouth. So many had seen him complain about the so called Messiah that so many believed had come in the form of Jesus. He proclaimed religion but did not speak as one who was following God. Does this sound familiar? There are many false prophets in the world. So many people who are spouting their own ways and desires and calling it God inspired. The Bible clearly states that these people will infiltrate our churches or even start churches of their own, so we must be careful not to fall into their traps. Lord, help me not become a victim to false teachers. Acts 9:20 At once he began to preach in the synagogues that Jesus is the Son of God. What an amazing change in Saul. He turned his life towards the risen Savior and never looked back. Immediately he went from synagogue to synagogue proclaiming the GREAT news of Jesus. He turned his life towards God and never looked back, that is unless he needed an example of what a life before God looked like in comparison to what one looks like following its conversion. Who were you before Jesus changed your life? Who are you now? Does your life show an obvious difference from the before into the after? When we accept Christ as our Savior, when we are forgiven of our sins, when we are baptized and receive the gift of the Spirit, we should be visibly different, visibly changed. For if we are not, then something is wrong. Lord, help me become obviously changed through Your willingness to forgive me of my sins. Acts 9:19A and after taking some food, he regained his strength. Saul remained in a fast until God moved within his life. Saul made a personal choice. Scripture does not tell us that God told him to fast, and it certainly does not state that his friends recommended it occur. Saul wanted God to move within his life. He wanted God to change his heart, and so he did what he saw as a necessity, refrained from sustenance for three days. God can only do so much. He can offer salvation, but we have to come to Him. He can offer forgiveness, but we must have a desire to be forgiven. We must be willing to be touched by God. Saul was ready for the powerful movement of God in his life. Are you ready for the same? Lord, help me become someone who wants to feel and experience Your presence, someone who needs to feel and experience Your presence. Ananias brought Saul the message of God. Saul’s heart was changed. His life’s purpose was changed. His reason for existing became more real than it had ever been before. His eyes were opened up to the very presence and power of God. His life had become refocused from persecuting those who called upon the name of the Lord to calling upon His name, so that Paul could be forgiven and restored himself. We never know how our words or actions will affect someone’s life. Ananias was skeptical because of what he knew about Saul, but he still moved forward with God’s will, which aided in the salvation of Saul whom God used to bring the gospel message to the Gentiles. We must follow in the example of Ananias and become willing to be used for the glory of God and the expansion of His kingdom. Lord, help me become a willing servant, one that will go forth according to Your desires and Your will for my life. Maybe Ananias was a little more receptive to the idea of going to Saul when he heard God bring forth these words, maybe just a little. Even so, Ananias made a conscious choice to do the will of God. We can speculate as to how he felt when he heard God speak of Saul’s suffering, but this would only be speculation. If Ananias were a true servant of God, it might not have been the first thing he chose to do that day, but we can be assured that his heart would have performed the will of God. For if it did not, then he did not have a heart for God. People know, when they encounter us, if we are Christians. They hear us speak. They watch us in action, and they know. God knew Ananias would do as he was asked, but the questions is this: can the same be said about your life? Lord, help my life become an example that can be followed, an example that will show others how much Your presence means to me.